Last week, Wizards of the Coast announced a deal with WizKids to produce pre-painted, plastic miniatures for Dungeons & Dragons. These new figures will accompany the D&D Next release this summer. As with the Pathfinder Battles miniatures, also from WizKids, the line will include both blind, randomly-assorted boosters and visible starter packs. The visible Dungeons & Dragons Miniatures Heroes starter packs include 6-figures priced at $19.95, and will reach stores in July. In August, the Dungeons & Dragons Fantasy Miniatures: Set One Boosters go on sale. These packs will include 4 figures drawn from a set of around 54 figures, likely priced at $15.99. The same sculptors who do HeroClix and Pathfinder Battles will sculpt the D&D line, so the quality will rank just as high. 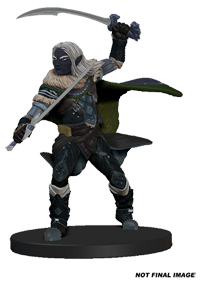 The sample photos show Drizzt Do’Urden as one upcoming figure. 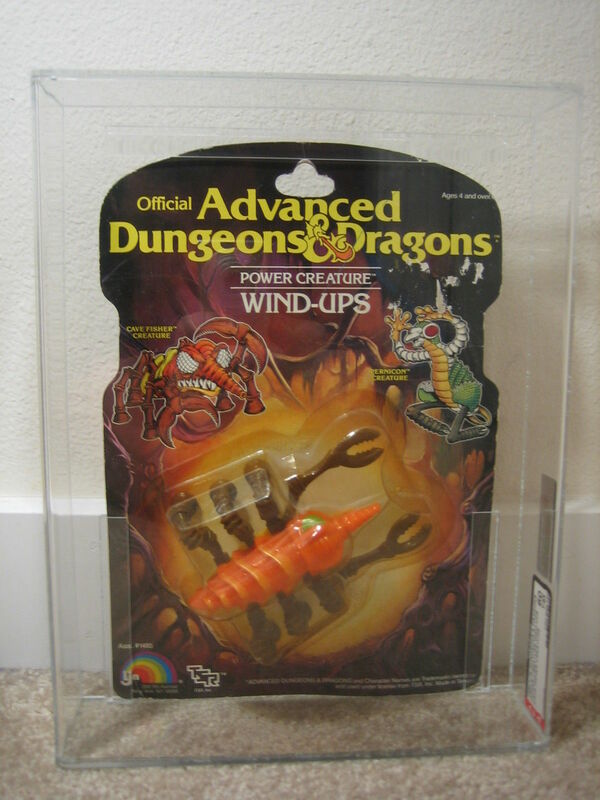 I loved the original D&D miniatures, so when rising costs forced WotC out of the miniatures market, I felt dismayed. No alternatives suited me as well. I have boxes full of Reaper Bones, and while I’ve painted a few, I’m not ready to make painting another hobby. The Pathfinder Battles line boasts quality, pre-painted figures, but the line includes too many figures specific to the adventure paths and to the Pathfinder bestiary. If I had the ear of someone planning a D&D miniature release, I would give my list of useful miniatures that have never appeared in plastic. Cave fisher – I realize that this odd monster seems like it would hardly see use as a miniature, but I keep running published adventures that include cave fishers. Obviously, adventure authors fancy cave fishers because of their interesting mode of attack and because they can fit logically into the caverns where adventures happen. Pixie – When Heroes of the Feywild added pixies as an available race, they became a surprisingly popular choice at my tables. But no pixie figures exist. We need a tiny pixie on a clear plastic flight stand similar to all the bats, birds, and stirges in earlier sets. City guard with crossbow – I listed city guards among my 11 most useful types of miniatures, but none of the available figures hold a bow. Just about every type of humanoid needs to be represented with more figures with bows. Medium displacer beast – Many folks love complimenting their character with pets, and in fourth edition, the displacer beast ranks as a most popular choice. Too bad no medium-sized displacer beast figure exists. Mushroom – Towards the end of the original run of D&D plastic miniatures, each set seemed to include an inanimate object such as a ballista, treasure chest, or magic portal. I want to see this theme continued with a giant mushroom ready to be added to my collection of dungeon decor. Update: A mushroom figure escaped my notice. Thanks Shawn! 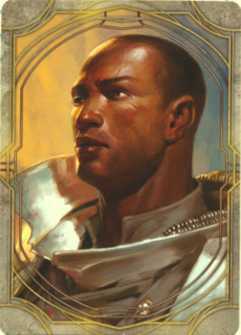 Dark-skinned, armored fighter – When I ran Murder in Baldur’s Gate, I looked for a figure to represent the brown-skinned Ulder Ravengard, but I discovered that nothing suitable existed. 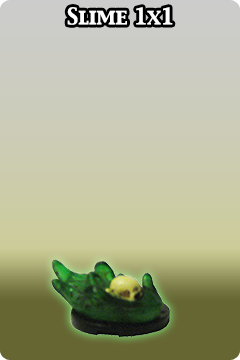 Translucent green slime – Another monster that adds easily to an encounter, I want a green slime miniature sculpted from translucent plastic. Goblin spellcaster – Every low-level D&D adventure includes a battle with goblins or kobolds–encounters that typically include a shaman or spellcaster of some sort. Kobolds have spellcaster figures, but no suitable goblin exists. What figure would you like to see? This entry was posted in Miniatures and tagged Pathfinder Battles, Reaper Bones, Wizards of the Coast, WizKids. Bookmark the permalink. they made a mushroom miniature already! Thanks! I don’t know how I missed that one. I plan to add a couple to my collection. Transparent slime! And I like the grasping branches on that animated tree. Thanks for the tip.